Pannekoek Orchideeën is open every Saturday morning from 10:00 AM to 12:00 PM to the public. Customers can buy individual plants, as well as flowerpots and bowls. You can also choose to bring your own flowerpot or bowl and have one of our sellers turn it into a real masterpiece. 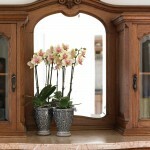 The small-flowered Phalaenopsis orchid is a lovely addition to any home. 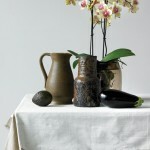 We hope that the pictures below help you imagine how this plant could look in your home. 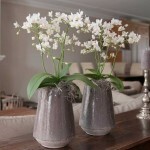 For more information about the Jungle Orchid click here.